Monaco is a hugely attractive destination for businessmen with more and more successful entrepreneurs, bankers, traders and sportsmen to name but a few coming to live in Monaco every week. But what is it like to actually do business from within the Principality itself? How easy is it to start a business or carry on with the one you have if you decide to rent an apartment in Monaco? Monaco has an extremely diverse economy with more than 110 industries within the tiny sovereign state including construction, banking and shipping. The Principality has a particularly strong research and development sector including in the biotechnology and environmental fields. Monaco benefits from one of the best banking systems in the world providing a huge and varied range of financial services for business. This includes no tax on Monegasque portfolios or capital and no duties levied on capital transfers or stock and share transactions. The Principality boasts an excellent infrastructure and is also socially and politically stable. There are a number of excellent venues for business conventions in Monaco including the Grimaldi Forum, a modern 80,000 square foot venue on the edge of the Mediterranean. 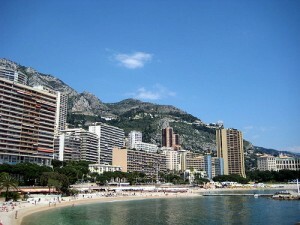 Monaco is renowned for its string of first class hotels ideal for business meetings. Nice Cote d’Azur International Airport is just 30 minutes away by car or 5 minutes by helicopter, meaning that businessmen can be on a plane in very little time. Vice versa for clients or contacts coming to Monaco to visit residents. The Monaco Government is very supportive of self-starters looking to launch a business in Monaco and there is a department which has been set up to offer help and advice. The economy is Monaco is booming – in 2012 it grew up 0.9 percent compared to -0.7 per cent in the Euro Zone and -2.5 per cent in Italy. Monaco has one of the best health systems in the world, meaning that any health problem can be looked after as efficiently as possible leaving you to get back to work ASAP. This entry was posted in Living in Monaco, Various and tagged apartments for sale in monaco, live in monaco by La Costa Properties. Bookmark the permalink.